Missouri has preserved over 80 State Parks and Historic Sites that represent important geologic features and moments in time that have shaped the state. 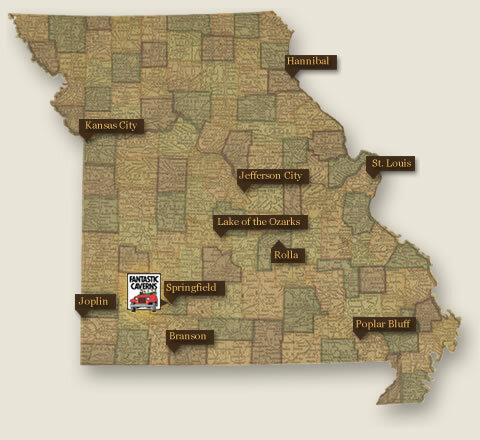 Missouri has a rich recorded and natural history reflected in it's State Park System. Missouri has one of the finest system of parks and historic sites in the United States and boasts the largest rails-to-trails effort in the Nation. Beginning with Bennett Spring in 1923, the state has committed itself to diverse preservation. From famous citizens and moments in history, to important geologic sites the Division of State Parks maintains Missouri's park system in a manner that refelcts its mission; "to preserve and interpret the state's most outstanding natural landscapes and cultural landmarks, and to provide outstanding recreational opportunities compatible with those resources". On five occasions, the Missouri State Parks have been ranked one of the top four state park systems in the nation, containing 85 parks and historic sites and the Roger Pryor Pioneer Backcountry. With more than 200,000 acres, the state's parks have something for everyone. The system includes homes of famous Missourians, Civil War battlefields; and reminders of moments in Missouri's past, such as gristmills and covered bridges. The state's most outstanding geologic sites are preserved for the public's enjoyment. From caves to forests, prairies to glades, springs to lakes all are represented in Missouri's natural wonders.